As a Year One Destiny veteran, one of your goals might be to get through as much of The Taken King’s content as possible in order to obtain shiny new pieces of gear, especially with today’s release of King’s Fall. Here’s our guide on how to increase your light level in the most efficient way as well as how to get Legendary marks, the primary end-game currency in The Taken King. If you’ve saved packages and bounties for this update, don’t open them quite yet! In a few quests, you’ll unlock a new subclass, and you’ll probably want to apply as much experience to the new subclass as possible in order to fill out your perk tree. If you have any room, pick up as many vanguard bounties as you can before embarking on the storyline. Pick a single loadout of equipment and put everything else in your vault. You probably have enough space, and we don’t know exactly when and where old equipment will have use, so if you can store it, it might be your safest bet. Regardless, you’ll want an empty inventory with room for the large wave of loot headed your way. Pick up any quests available, and pick up some Gunsmith weapons as well if you want to level them as you play the story. As you go through the story, you will quickly acquire green and blue items that surpass your Y1 Legendary & Exotic items. You’ll want to equip these in order to increase your Light level. Why not just dismantle them? Well, let’s take a look at Destiny’s new loot drop system. Every time an item is “rolled” – meaning dropped by an enemy, obtained from a package, decrypted from an engram or rewarded from a quest/mission, the game checks your Light score. The game will apply some RNG and give you an item with an ATK/DEF level either below or higher than what you’re currently at. Thus, increasing your Light increases the floor and ceiling for your new drops. Just got a 210 Attack Sidearm? Equip it. The next one you see may be 215+ Attack. Over time, your Light level will improve just by playing the game and equipping new items. This practice can also be applied to your familiar Cryptarch visits. Rather than rolling engrams all at once, if you’re willing, you can decrypt one, check if it improves your Light, equip it if it does, decrypt another one and repeat. We’ve had trips to the Cryptarch where we gained 10 or more light from an inventory’s haul of engrams. Save the Legendaries for last so that you have the highest potential gain by the time you decrypt them. Light is now a determination of power, and as of now, gear rarity is more of a determination that types of perks available to you. You may have a 245 Handcannon with Extended Mag, Grenadier and Firefly perks, while a 252 blue Handcannon only offers Grenadier. Now, you have a choice to infuse Legendary gear to fix this disparity. However, as you start off growing your light level, it would be best to avoid infusion for now. Infusion will cost you Legendary Marks, which, for now, will serve more benefit to you if you buy vendor gear with them. 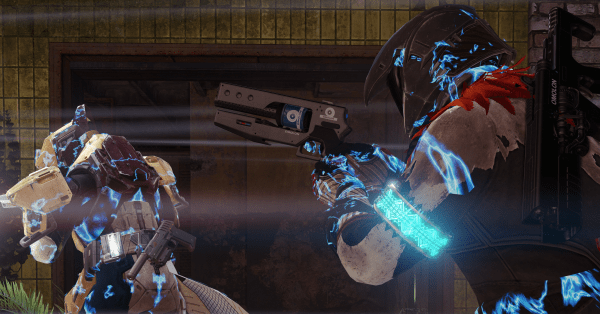 Vendor gear comes in at 280 light, and early on, your first vendor purchase will be very important for improving your light to levels that allow you to run higher-level missions. Best Ways to Acquire Marks? So how do you get these universal Legendary Marks? Well, you get these marks in mostly the same way as you’re used to, but you won’t get as many as you may be used to, and the missions required to gain them are more difficult. Playing the Daily Crucible match will net you 15 (requires level 40). Completing certain quests will net you a handful of about 20. Dismantling Y2 Legendary weapons and armor will net you from 3-5 depending on the amount of experience you’ve put into the gear. The higher level sources of Legendary Marks in TTK are from the Heroic Daily Mission (15 marks a day, account-wide, recommended 240 light) and the Vanguard Heroic Strike Playlist (up to 30 marks a week, account-wide). Luckily, there are plenty of activities to do that can get you geared up for these without using any Marks. 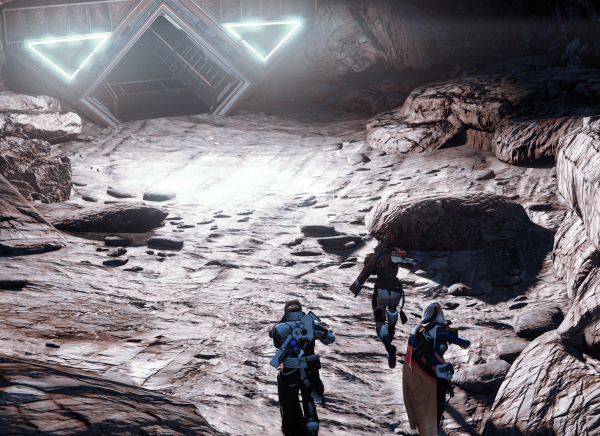 Running any mission, Quest or objective will usually earn you Engram drops from enemies and loot from bosses. If you keep playing and equipping ‘better’ gear, you’ll creep up to the recommended Light for endgame playlists. When first starting, the Court of Oryx and the Level 36 Strike Playlist are great sources of incrementally better loot. If you have picked up any Runes throughout your quests in TTK, you can bring them to the Dreadnought patrol and use them to fight battles at The Court of Oryx. Initially, you will fight lower level engagements, and if you are the one who offered the rune, you’ll be in store for a few pieces of equipment. This can be repeated with others, as well. If anyone comes by with a Stolen Rune, or you have one yourself, you can try out a harder fight for a much better reward. You can play The Court of Oryx for as long as you have Runes, so keep at it to increase your loot! Strikes are a great source of loot as well, especially with the new Vanguard Streak bonus, which gives you a buff that allows you to receive better and more loot if you play multiple strikes in a row without returning to orbit. You should be able to handle the new strikes as well as the spruced up versions of older strikes, and you can even find strike-specific rewards with unique looks. Overall, you have a lot of progression available to you in The Taken King, and things are in your control if you want to improve. Keep equipping gear that will improve your Light, save your Legendary Marks and complete all of the Quests, Missions and Strikes that are offered until you can reach higher Light levels and tackle the true endgame. Save any Legendary gear that you really like for Infusion later down the road.